Apple defied expectations by introducing an updated Mac Pro today. But it didn't warrant a mention at the WWDC keynote, which falls in line with the earlier indication that Apple would kill it off. While this is the first refresh the super-powerful computer of choice of creative professionals has gotten in two years, it's not significant enough to silence the rumors of its demise. So what does the update look like? 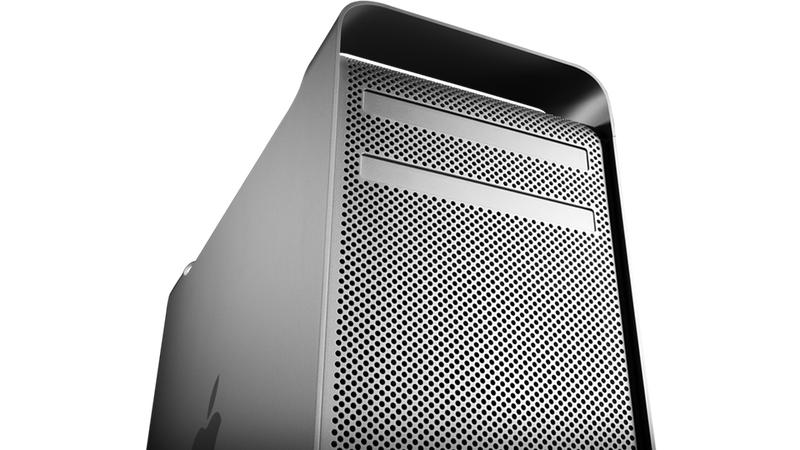 Similar to its predecessor, the new Mac Pro comes in three configurations, though the machine can also be made to order. For $2,500, the base has a 3.2GHz quad-core processor, 6GB of RAM, 1TB hard drive, and the ATI Radeon 5770 graphics chip. If you're hankering for even more power, the next step up has a 2.4GHz 12-core processor, 12GB of RAM, 1TB hard drive, and the same graphics chip for $3,800. Once again, there's also a server model, with a 3.2GHz quad-core processor, 8GB of RAM, two and 1TB hard drives. This one costs $3,000. That's right—no Thunderbolt, no redesign, and no graphics upgrade. Until today, the future wasn't so certain for the Mac Pro—sales have suffered and there is a growing selection of more affordable alternatives, making it harder to justify the expense. The last update in summer 2010 gave it 12 cores of power for the first time. With its immense processing capabilities, it's an aspirational product that's dearly loved by creative professionals, who were clamoring for a reboot. But this measly update is not what they had in mind, and it's evidence that Apple is clearing out stock and is still preparing to ditch the Mac Pro eventually.